Sinziana, who has been an avid prac­ti­tion­er also at San­ti­das Yoga, accom­plished the Ash­tan­ga Teacher Train­ing at the Yoga Loft Brus­sels in 2014 and she’s been prac­tic­ing and teach­ing on a reg­u­lar basis since. 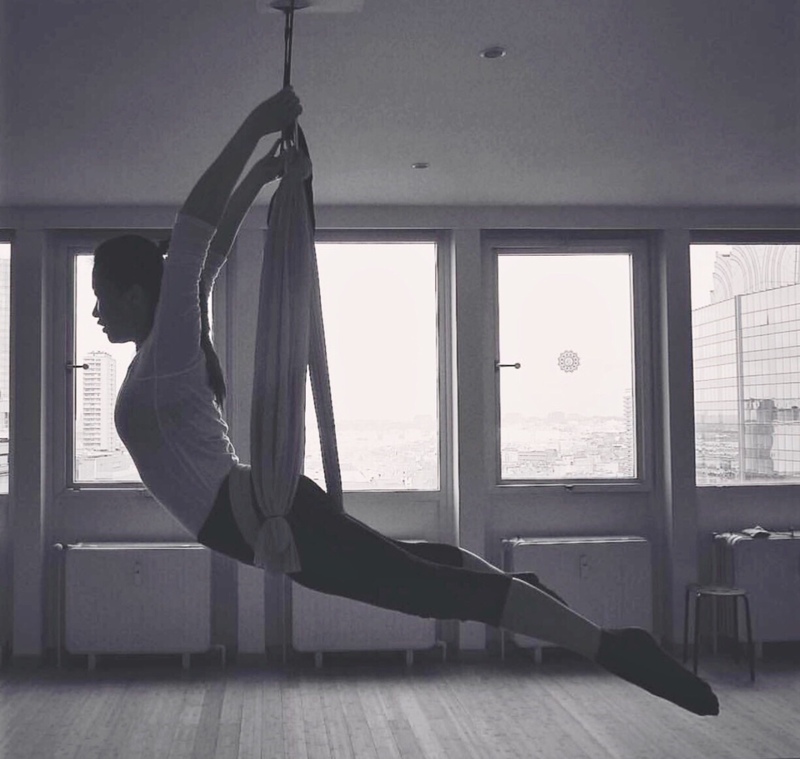 She also explored Yin Yoga and Acro Yoga, which she thinks com­ple­ment and bal­ance her prac­tice. She is com­mit­ted to her jour­ney with yoga, hav­ing explored the prac­tice with Damien de Basti­er or Luke Jor­dan (direct stu­dents of Patthabi Jois). She hopes to share with oth­ers the rich­ness of the prac­tice, help­ing peo­ple to get to know their bod­ies and befriend their minds. 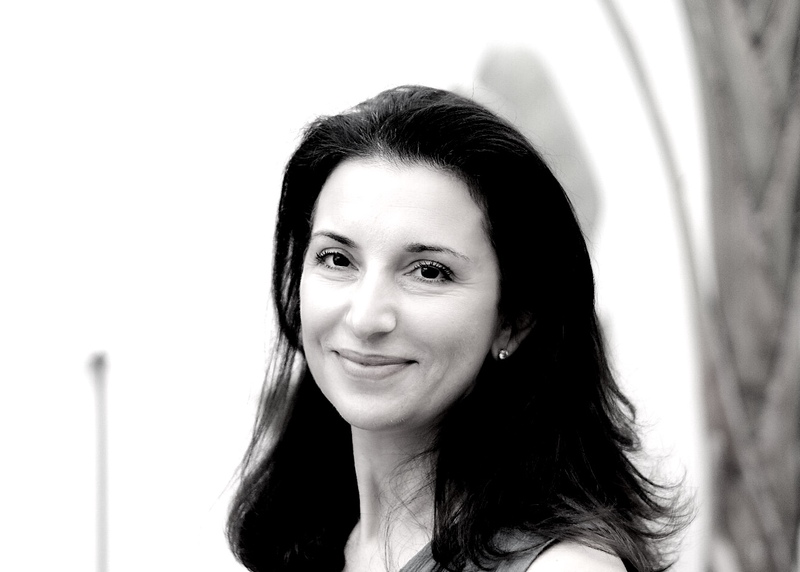 She teach­es our Ash­tan­ga Mod­i­fied Pri­ma­ry Series Class­es and Yin Yang Yoga. Angel­i­ca, RYT 200 Asthanga Vinyasa(2014) and RYT 50 Yin Yoga with Joe Bar­net (2016), teach­es class­es in Brus­sels and Sar­dinia. She dis­cov­ered the men­tal and phys­i­cal ben­e­fit of a reg­u­lar yoga prac­tice in 2009 as a cure for RSI (repeat­ed strength injury) Since the begin­ning of the jour­ney, Angel­i­ca com­bines her pas­sion for yoga with the study of the human body from the holis­tic and sci­en­tif­ic point of view. 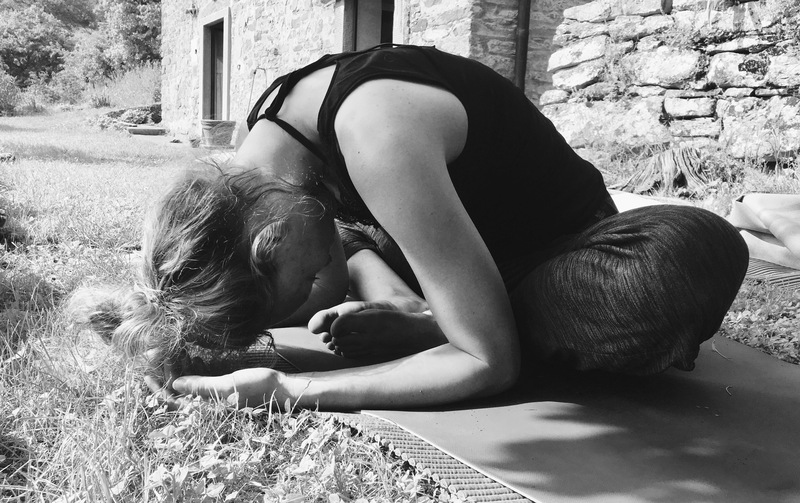 She reg­u­lar­ly prac­tices Asthanga and Vinyasa in Brus­sels and fol­lows yoga and mind­ful­ness work­shops around Europe. 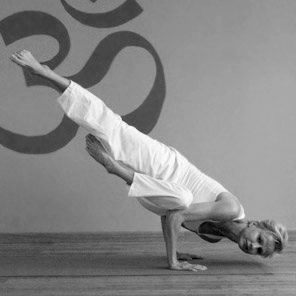 Maya Devi Georg (ERYT-500, RPYT, RCYT) is full blood yoga teacher and writer. Prac­tic­ing since 1999 and teach­ing since 2002, she was lucky to have stud­ied exten­sive­ly with Swa­mi Bua, Swa­mi Jnanand, and Dhar­ma Mit­tra, as well as hav­ing been ini­ti­at­ed into many prac­tices by Yogi Gup­ta (Swa­mi Kailashanan­da). Tak­ing the many lessons she received from her teach­ers she devel­oped her own prac­tice a delib­er­ate form of yoga asana where each move­ment and pos­ture is unpack­aged in a sequen­tial man­ner to help pre­pare stu­dents for the next lev­el of prac­tice, rapid­ly devel­op­ing the body and mind to go beyond pre­con­ceived lim­i­ta­tions. Teach­ing with com­pas­sion and humor, she con­tin­ues to trav­el and share the fruits of her stud­ies with oth­er prac­ti­tion­ers all over Europe and the Unit­ed States. After hav­ing com­plet­ed var­i­ous fit­ness based cours­es and qual­i­fi­ca­tions, I have been search­ing for a more com­plete way to express myself. Hav­ing danced all my life and dance being a means to express my emo­tions and feel­ings, yoga has shown me a new path. Dur­ing years of yoga prac­tice, I have fol­lowed this path until it led me to the San­ti­das TTC course and I instinc­tive­ly knew I wish to take this jour­ney. I immersed myself into study and intense prac­tice and the expe­ri­ence has been reju­ve­nat­ing and enrich­ing to a point when I feel I would like to share it with the world. Due to my fit­ness back­ground, my class is suit­able for all lev­els and I offer a var­ied and per­son­alised approach to the yoga par­tic­i­pants. Lucia prac­tices yoga since she was a kid and she has been teach­ing in Italy, Ger­many and Brus­sels. She holds a 500 hours Hatha Yoga (Sivanan­da inspired) teacher cer­ti­fi­ca­tion from Yoga Lila in Italy and is a cer­ti­fied Hor­mone Yoga Ther­a­py teacher with Dinah Rodrigues and Restora­tive Yoga Teacher with Ade­lene Cheong (Assis­tant to Judith Han­son Lasater). Lucia’s inter­est in Yoga brought her to explore and prac­tice dif­fer­ent styles and her belief that health comes from a holis­tic approach, brought her to get fur­ther train­ings as mac­ro­bi­otics cook and food ther­a­pist at La Sana Gola in Milan and Ayurve­da cook with Leela Mata at Yoga Vidya in Ger­many. She is also a fond spir­i­tu­al researcher and you will find spir­i­tu­al ele­ments in her class­es like for exam­ple mantra chant­i­ng and short med­i­ta­tions. Cloudy fell in love with aer­i­al ham­mock imme­di­ate­ly when she tried her first aer­i­al yoga class at San­ti­das Yoga in Brus­sels. Since then, she start­ed to take aer­i­al class­es every­where when­ev­er she trav­els: Paris, Lon­don, Gene­va, Stock­holm, Taipei, Mal­lor­ca and New York. She start­ed her fly­ing jour­ney and found her free soul in the aer­i­al world as a cloud, as she’s named “like a cloud” when she’s born. She loves danc­ing despite hav­ing and has been cho­sen to rep­re­sent her coun­try-Tai­wan for diplo­mat­ic mis­sions at her young age. She’s been trained doing pro­fes­sion­al per­for­mance in Japan, Korea, Thai­land, New Zealand, Aus­tralia and South Africa. Because of her pas­sion of dance and aer­i­al, she rel­ish­es teach­ing a wide vari­ety of peo­ple with dif­fer­ent strengths and abil­i­ties. She shapes her class around aer­i­al com­fort and fun, with safe­ty pri­or­i­ty. Cloudy is a grad­u­ate of 50-Hour Aer­i­al Yoga Teacher Train­ing at the Om Fac­to­ry New York and 25-Hour Fly Yoga Teacher Train­ing in Fly Yoga Paris and is ready to sat­u­rate her aer­i­al class­es with fun. Après quelques années de pra­tique du Yoga Kun­dali­ni, du Vinyasa, de la médi­ta­tion et plus récem­ment du Tantra et le mas­sage tantrique, je suis est cer­ti­fié auprès San­ti­das en Hatha Yoga (260h) (Yoga Alliance). Le yoga aus­si bien que la musique, pour moi, sont l’harmonie de l’âme, le seul pas­sage qui soit entre l’abstrait et le man­i­festé. La musique doit pein­dre la vie d’innombrables nuances de couleurs sinon cela devient juste du bruit. La musique main­tient un équili­bre, une har­monie dans la nature, essen­tielle pour tout le monde. J’ai égale­ment trou­vé cet équili­bre dans la pra­tique du yoga qui me donne les clés pour être plus con­scient de moi-même. Je veux donc partager mes sons, ma vision de la vie et mes expéri­ences per­son­nelles avec les autres, en espérant que cela puisse aider quelqu’un à être plus con­scient de soi. Nous sommes tout ce dont nous avons besoin pour être heureux, nous avons juste oublié com­ment. Pour moi, tout com­mence par la musique comme un désir inex­primé de bien-être basé sur des mélodies lentes et pro­fondes qui me don­nent un sen­ti­ment de paix et de tran­quil­lité jusqu’à les fusion­ner avec le chemin du yoga qui devient mon style de vie. L’inspiration? Chaque instant de ma vie. Les sen­ti­ments, les émo­tions, les sit­u­a­tions, les per­son­nes, les odeurs, les couleurs, les envi­ron­nements, tout ce qui m’entoure et qui fait par­tie de mon être ici et main­tenant. J’enseigne mes cours en Fran­cais, mais com­prends bien l’Anglais avec ma langue mater­nelle, Ital­ien. Natasha’s first life jour­ney start­ed in Athens, Greece and life brought her to the US for her Uni­ver­si­ty stud­ies and then to Brus­sels, a quar­ter of cen­tu­ry ago !Her sec­ond life jour­ney start­ed in the San­ti­das Yoga Stu­dio, 3 years ago when she start­ed prac­tis­ing yoga with Sash and San­ti­das, dur­ing a chal­leng­ing time in her life. What start­ed as a sim­ple inquiry turned into a life pas­sion and life­long jour­ney of self-dis­cov­ery and path to inner peace.Natasha com­plet­ed the San­ti­das 250 hours Teacher Train­ing Course in May 2018 and is look­ing for­ward to build­ing her prac­tice and fur­ther­ing her stud­ies and teach­ing of yoga in the years to come. I dis­cov­ered yoga in 2009 while chang­ing career path and it gave me the con­fi­dence to open up to new pos­si­bil­i­ties. It was fas­ci­nat­ing to observe the appar­ent slow­ness of Yoga which forces one to bring atten­tion to the body in an aware­ness process remind­ing me of psy­chother­a­peu­tic prac­tice. At one moment, I began to feel the effects of Yoga on the mind and the per­cep­tion that we have of our­selves and the world around us. More recent­ly Yoga, is the prac­tice that allowed me to sur­vive the dai­ly stress at work as the only moment dur­ing the day where I could focus and calm the mind, releas­ing from an exhaust­ing mul­ti­task­ing mind set. The Teacher Train­ing at San­ti­das Yoga allowed me to dis­cov­er a dis­ci­pline which is so vast and rich that it does not cease to sur­prise me. As a teacher, I like to give tips and hints to increase body aware­ness and get clos­er to one Self. 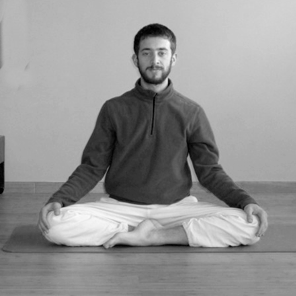 I dis­cov­ered Yoga after a seri­ous back prob­lem that almost paral­ysed me. Until then, I had ignored my body. The prac­tice healed me by open­ing me to new per­spec­tives of life. I became a cer­ti­fied Iyen­gar Yoga teacher, trained by Willy Bok in Brus­sels and con­tin­ue to train with Abhi­ja­ta Iyen­gar (BKS Iyengar’s grand­daugh­ter) David Mel­oni, Chris­tain Pisano, Rita Keller, Zubin (and oth­ers). At the same time, I con­tin­ue to work as a pro­fes­sion­al cam­era­man, which helps me to have a detach­ment, which, as a teacher, helps me to be an atten­tive observ­er of stu­dent prac­tice. The Iyen­gar method is for Yoga the same as what is clas­si­cal dance for dance in gen­er­al. It is a method that gives the prac­ti­tion­er a pre­cise and sol­id foun­da­tion. This pre­ci­sion in the pos­tures as well as the use of the acces­sories is to facil­i­tate align­ments and pro­tects from pos­si­ble injuries. 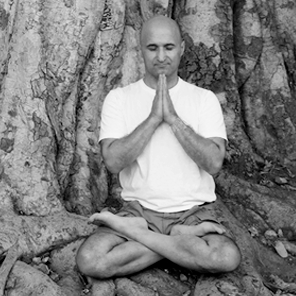 Being a yoga teacher is a com­mit­ment to one­self and oth­ers. It is to become a “sad­ha­ka” one who pur­sues a path of inner devel­op­ment. To trans­mit one’s knowl­edge and prac­tice is also to con­tin­ue to teach stu­dents with com­pas­sion. Oth­er activ­i­ties include the cre­ation of a group that active­ly pro­mote dia­logue and exchange between yoga teach­ers in order to deep­en ties with the Bel­gian Yoga com­mu­ni­ty. I also enjoy filmed por­traits of Yogi.ni.s for Bel­gian tele­vi­sion and expand the knowl­edge and under­stand­ing of Yoga.